Residents may volunteer to become a Reserve police officer. 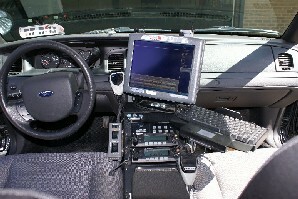 Applicants undergo the same rigorous testing and background investigations that full-time police officer applicants do. Reserve officers typically have other full-time jobs and family commitments yet they train over several weekends and nights to earn Reserve police officer certification. Reserve officers may enforce the same laws as full-time police officers. Once certified, they will work a minimum of two 8-hour shifts each month and/or attend continuing in-service training to maintain certifications. The reserve officers normally partner up with full-time police officers on patrol. Reserves have also been involved in other duties, such as foot patrol, bicycle patrol, and traffic control. On occasion, Reserve officers may assist the Investigations Division in plainclothes assignments. Many current full time MCPD officers started their law enforcement careers in the MCPD Reserve Unit. If you are interested in learning more about the Mason City Police Reserve Unit, please contact Lt. Frank Stearns, at 494-3562 E-mail: Frank Stearns.